The easy days of throwing content out on the web and reeling in web site traffic are gone. Google saw to that. So did wave after wave of “infoclutter” from the likes of social media. The hard truth? Your business needs leads. Your business needs exposure. Your business needs business! Now what your business doesn’t need is to risk its future (and your livelihood) on the latest “bright shiny object” of the marketing world. After all, we all remember MySpace, right? So what do you do? Where do you turn? The same place I did seven years ago. That’s when I discovered a foolproof web site traffic method that Google continues to love to this day. How many online marketing methods can truly say that? You will use what you’re about to discover for moral and ethical purposes only. You will not get angry at me if your server crashes because too many people try to access your site at the same time. If you can live with these three stipulations, then let’s move forward. Otherwise, stop here. Seriously. You will not want to read any further. Now lets talk about press release marketing and ALL it can do for your business. Like most savvy marketers you probably know that publicity is 7 times more credible than advertising? It’s true. With advertising, prospects have their defenses up. Publicity on the other hand is often seen as helpful news and information. Nobody likes to be sold to. Yet nearly all of us like being informed, so we can make our own choices and decisions. Have you noticed what happens when you come across an interesting bit of news? We’ll even go out of way to share interesting news stories with colleagues and peers. It’s a fact: online press releases are seen as credible sources of information. Here’s what this means: you capitalize on two positive trends at the same time! While you’re gaining more and more control over how and where your content is distributed as news, more and more people depend on press releases for information! imagine what you can accomplish! I can hear it now…that little voice in your head in that oh-so whiny voice uttering, “Oh great, one more marketing technique to learn!” Tell the little voice “thanks for sharing.” Now if it’s all right with you, how about I share a gift with you that will remove that obstacle right now? #1. Headline Keep it brief! #2: Summary 2-3 sentence summary of the subject/topic of your release. #3: Intro paragraph Set the stage. Arouse curiosity to keep them reading. #4: Body copy/quote Quote can be from you or a 3rd party. “Marc, there were so much I felt had to be perfect with a press release to get picked up by the media. I also thought it wouldn’t work for a small niche like mine. But after exhausting myself with SEO and PPC, I decided to give PR a try. Your Online PR Made Easy course seemed perfect. “When Marc asked me to review Online PR Made Easy, my first thought was ‘what else could I learn?’ I teach online public relations and my company provides PR services for clients. Well, Marc easily conveys all essential success elements for beginners. He also reveals some hidden gems for seasoned PR pros. Like his specialty newswire directory. 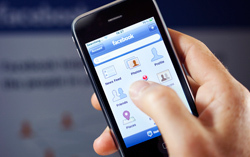 PR pros wanting more social media savvy should also study this program. Quite frankly, you can do Online PR on your own, without my assistance. You can even buy a $27 ebook to learn the basics. If that’s what you choose to do, I wish you well. 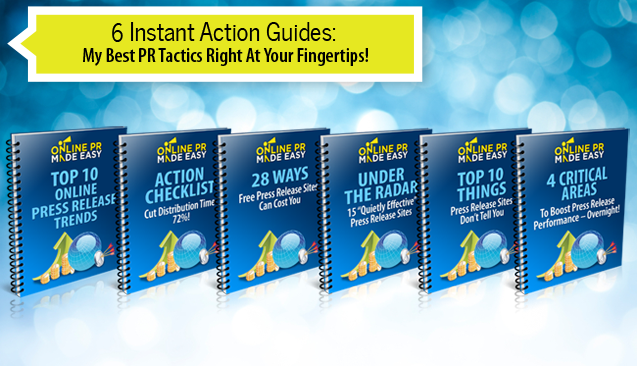 But if you’d rather have all the shortcuts, secrets, and strategies I’ve developed over the last 7 years, then you’ll want to get your hands on Online PR Made Easy immediately. Ever purchase an information product and feel like you’re holding one piece of a much bigger puzzle? And how some of the pieces didn’t fit, let alone mesh? Yeah, me too. In fact, before I developed Online PR Made Easy I surveyed the online publicity landscape for products similar to Online PR Made Easy. Guess what I found? Some good information. In bits and pieces. A webinar here, an ebook there. And other vital information available…somewhere. Now do you really want to play detective and track down a bunch of loose information, cobble it together like a publicity traffic Frankenstein and hope it will actually be worthy of your time, money and effort? There’s a MUCH easier way. Of course, it’s your choice…bits and pieces? Or a process and system? Good thing Online PR Made Easy delivers the latter. Each component connects the dots in the two main areas of press release marketing: the writing of the releases and the sending of the releases. First, this product isn’t for those expecting one push of the easy button equals instant success. And if you think you have all the answers and can’t benefit from performance-based tools and resources, than please exit this page right now. However, if you are like most reasonable people, you know the value of a proven blueprint, process and system. If an “at your fingertips” secret weapon that saves you time and money again and again is important to you, then Online PR Made Easy is for you. If you’re a marketing, PR or publicity professional, view the video below immediately. These tested Optimized Press Release Templates are “Penguin and Google” friendly. That means they are current and consistent with Google’s recent updates on how they rank web sites. Bottom line: these “fill in the blanks” templates will rapidly accelerate your press release completion. 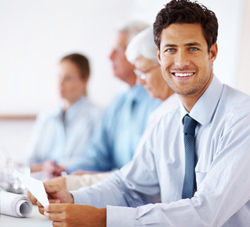 These directories will literally save you hundreds of hours and thousands of dollars. You’ll make better, faster decisions that yield improved results. Pretty bold claim, eh? It’s one I can back up because you have one of the most powerful elements of marketing intelligence. Something you can use to cut through the noise and make the decisions that accelerate your marketing effectiveness and revenue growth. 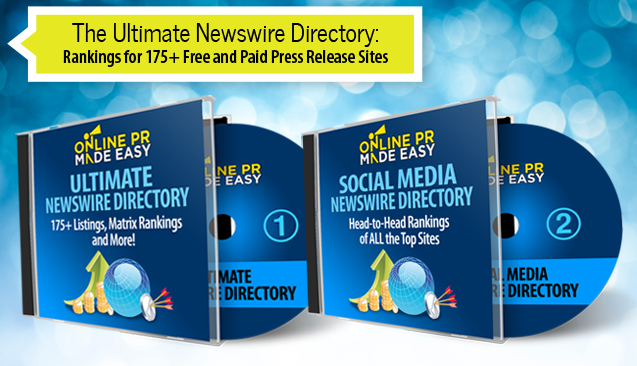 Ultimate Newswire Directory: a comprehensive listing of every press release site, newswire and news submission site on the planet (currently 175+). Each site is ranked and rated on six different criteria: free, Google pagerank, Alexa rank, hypertext links, images, and social media enhancements. Geo-Targeted Newswires: many of the major newswires offer geo-targeted as well yet this directory lists several “under the radar” newswires and press release sites that target a specific region – whether it be city, state, or country. Online video embeds in press releases: which 3 sites handle them best? Which would you prefer: wade and slog through an ebook and hope to discover the big nuggets or see them right away in easy to digest and take action form? I thought so. That’s why I took the meat, the most important elements and put them into easy to consume action guides. And for what outcome? Simple. Better, faster decisions that lead to superior performance and bottom line, more money in your pocket. Newswire or online media channel? Press releases are now social media hybrids that can extend your marketing beyond what you’ve ever imagined. Get on the right side of the trend and profit every step of the way. A handy, single sheet checklist covering the exact steps I’ve used to generate over 6133 first page rankings in major search engines. It’s true. Free often doesn’t always mean no cost. Our examination of free sites revealed that almost any enhancement is available—at a cost. Learn what to watch out for, what’s actually worth it and how to hold press release sites accountable. Do you know what is often a big enemy of press release performance? Complacency! Many people grow comfortable (even lazy) and continue to use a press release site because they know how it works rather than to test something new. And that something new often performs substantially better given their goals and objectives. It’s not that these sites are deceptive. It’s just that they’re not telling you the whole story. In fact, their “transaction mentality” can be your financial undoing if you’re not careful. No more wondering. No more guesswork. This one report is worth the entire price of this program just by itself. It’s the core four distinct phases that – top to bottom and start to finish – will put your press releases on top, time and time again. 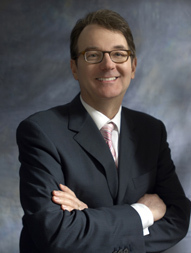 I have over 25+ years in advertising and marketing. My marketing efforts have helped generate over $233 million dollars for my clients and customers. I’ve won over 200 local, national and international advertising awards. Back in 2004 I was one of the very first to start using online press releases to reach the media PLUS prospects and the public DIRECTLY. At that time, there was scant information on how to create, write, optimize, submit, and track online press releases. And what I did unearth was all focused on getting the media’s attention. There was complete neglect of how to generate web site traffic and drive sales from prospects and customers directly. Even more impressive, many of these keyword rankings were for ultra competitive keyword phrases. You know, the kind which are often cost-prohibitive to achieve first page results via PPC (pay-per-click) advertising. So is it any wonder my peers consider me the foremost expert of online PR. I’ve shared my PR Traffic insights from the stage at major industry conferences including Ultimate Internet Bootcamp, the World Internet Summit, The System, Traffic Tactics Workshop, Midwest Internet Super Conference, Money in the Bank Seminar, and dozens of teleseminars and webinars with Internet marketing titans like Alex Mandossian, Ali Brown, Russell Brunson, Dr. Mike and many more. Now you’ve seen my program and you know more about me. Good thing I saved the best for last! I like to reward action takers rather than fence sitters. Pure and simple. I do that via fast action bonuses that are my most guarded secrets. To make this purchase a true no-brainer, I’ve created some specific bonuses that both complement and enhance Online PR Made Easy. These are not retread materials. In fact, many are only available to my corporate clients that invest thousands of dollars in their Online PR campaigns. Each bonus gift is not available for individual sale. You can only claim them as part of the Online PR Made Easy System. Every day I see a tangible and real difference from using PAID press release distribution. And by following the optimization strategies of Online PR Made Easy, you achieve better short and long-term visibility while reducing costs down to pennies a click. And yet, people often balk at putting some investment momentum behind their press releases. Well, who doesn’t love getting a discount or something on sale? I’ve negotiated significant discounts with several top newswire and press release distribution services. 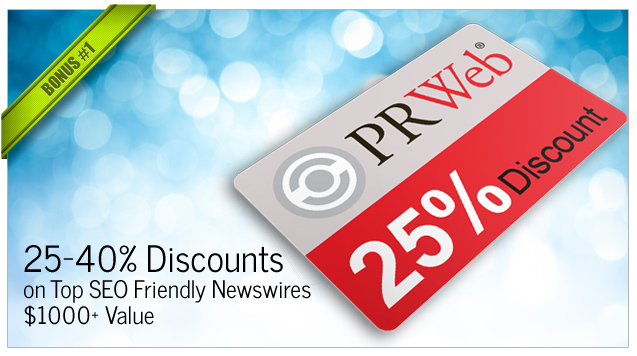 These savings are reserved for Online PR Made Easy customers ONLY. Written step-by-step instructions are often useful. It’s also true that visual instructions (flow charts, maps and diagrams) are even better. These digital process maps are easily shared with team members and outsource personnel. This accelerates completion while reducing mistakes and last minute anxiety over deadlines. What’s more, you ensure that your press release marketing follows a system-driven approach. These process maps walk you through the exact system I use to evaluate, qualify, submit and track performance for online press releases. Reveals two secrets for giving instant relevance and staying power to any release. Also shows the two biggest difference makers in the text of any press release. 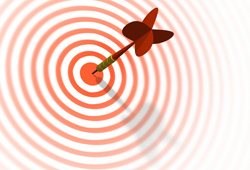 Identifies the two most important target audiences for any release. A critical distribution evaluation step is an Online PR Made Easy exclusive. Shows the three most important targeting options as well as the 6 top distribution enhancements. Reveals the two areas in the timeline where editing can save you before its too late. Shows you the three most important external sources for tracking as well as the 3 most important internal areas for tracking. Integrates with the metrics and tracking report, a bonus template that is yours free. Unlike those media databases that are outdated the moment you receive a CD, these digital press release site directories are updated frequently. You’ll receive email notification on all major updates with links to download the most current directories. EXTRA BONUS: you’ll also receive lifetime updates on the Social Media Newswire Directory. If anything changes in the future or new content is added, or if I come across a new tool, method, or breakthrough I’ll add it to both directories for free. Either way you’ll be MILES AHEAD of your competition. 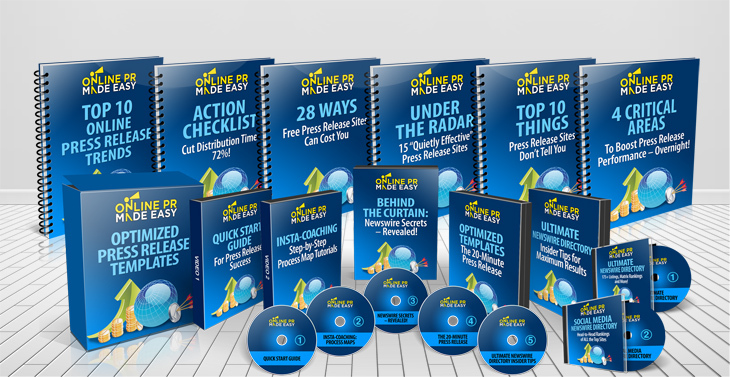 You’ll be able to pounce on new opportunities and more effectively target your most profitable prospects. It’s like having a “Consumer Reports” of the entire press release site industry at your fingertips. Even better, your subscription never runs out! Problem: your message isn’t seen or heard consistently and you struggle creating content that really connects. Solution: tap your “Power Persona.” This is a role, an image, a certain personality and archetype to showcase throughout your entire marketing and sales funnel. The strategies and tactics revealed in this report are some of the most effective I’ve ever developed and tested in my 25+ years of advertising, marketing, branding and publicity experience. One look inside and it’s easy to see why. Here’s another tool that’s only been available to MainTopic Media corporate clients. This spreadsheet is a customized solution to help track search engine ranking performance across 15 top search engines and news aggregators. There’s a saying, “you can’t improve what you don’t measure.” And this spreadsheet is a concise, comprehensive, single page summary of your search engine rankings across the web. BOTH Business And Media Leads. Before we touch on cost, please know this: if you plug into my system and take immediate action, your ROI will far exceed the small investment I’m asking. The information you’ll gain – the strategies you’ll learn – could easily put another $10,000… $50,000… even $100,000 in your pocket! What would it be worth to dominate the news search engines and get hundreds of quality backlinks to your web site? All as you build an online presence where your competitors have ZERO chance of threatening your “top dog” position in the marketplace? Now that would be worth something, wouldn’t it? I know I could charge hundreds, even thousands for Online PR Made Easy and get it. Yet, the whole reason I started this was to make it easy for everyday folks like you and me to get leads, traffic and media visibility – fast! And all without being an expert writer, techno-geek or media insider. Because you investment MUST be a total no-brainer! The Online PR Made Easy System is a turnkey solution. In fact, its content, knowledgebase, and best practices stack up convincingly against companies that routinely charge $2000+ per month for publicity marketing. And that type of publicity is often here today, gone tomorrow. Now compare that with the Internet exposure from Online PR Made Easy that can last for YEARS. 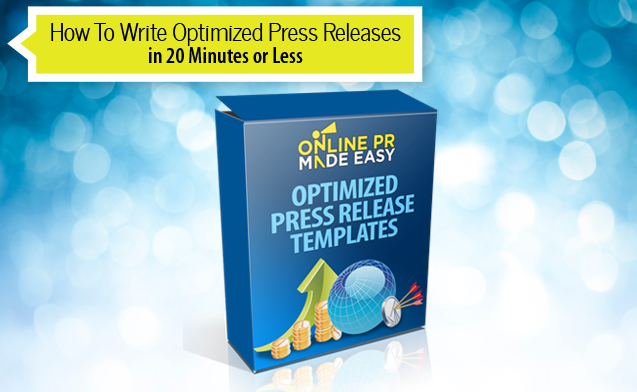 You could very well recoup your Online PR Made Easy investment with a single press release. Bottom line: it’s like you’re getting, $24,000 worth of publicity expertise for less than $200! PLUS ALL 5 Free Gifts are yours for a single $197 payment. “I’ve been using Marc Harty’s online PR techniques for years. And it’s why I get Google results the same day I publish a press release. All the same, I use Online PR Made Easy because there’s a lot I didn’t know. This is not just for do-it-yourself, but for PR professionals, too. “Marc is the first person I always think of whenever planning a product launch, a PR push, or how to generate lots of residual traffic through press releases. In the past 6 months alone, 3 press releases I’ve created with Marc’s guidance have generated over 1.5 million views and reached the top spots on Google, Yahoo, and Bing. How About We Make This Risk-Free For Us BOTH? I want you to be both comfortable and confident you made the absolute right decision in purchasing today. That’s why I have my Going the Distance Guarantee. This guarantee is for serious buyers only. A serious buyer sees this purchase as an agreement between us. An agreement made in good faith. So if you have shown a pattern for refunding quality information products because of trivial and often artificial reasons, we don’t want your business or your money. 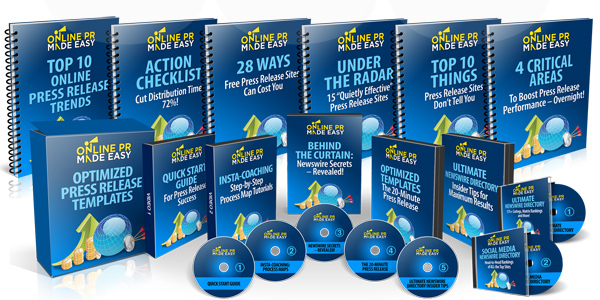 I understand I’ll receive online access to the entire Online PR Made Easy 3.0 System. 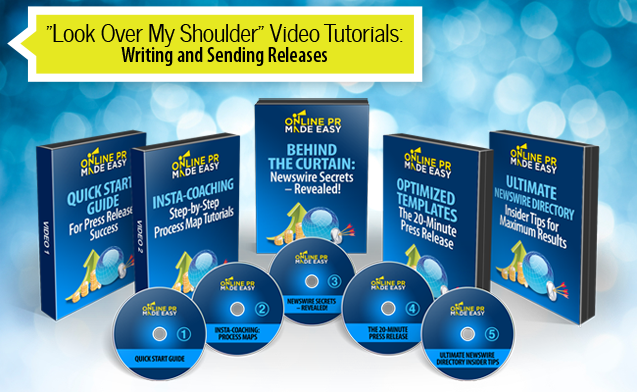 That includes ALL the video tutorials, action guides, newswire directories, templates and more. Templates, story ideas, checklists and more! 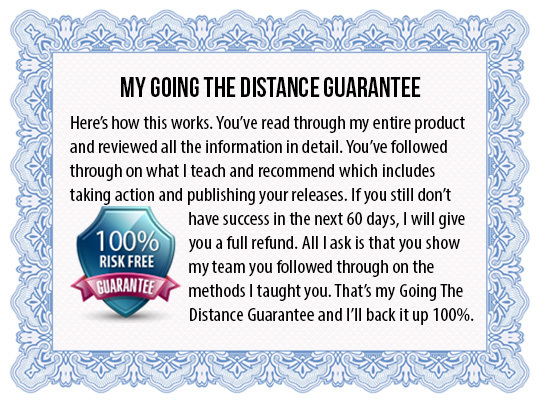 Of course, my investment is backed by your Risk-Free, Going The Distance 60-Day Guarantee … so I have NOTHING to lose! And by taking action now, I won’t pay $497 $397 or even the everyday price of $197! With my End of Year Savings, I gladly save 60% and pay only $77! For all THIS system delivers I’m clicking one of the ‘Add To Cart’ buttons NOW! Copyright © 2010 - 2015 Maintopic Media LLC. All rights reserved worldwide.